Viber for Samsung Galaxy Tab | Download Viber Android Tabler | Free Pc to Phone Calls, Free Voip Calls to India International ! If you have recently purchased any android tablet like Samsung Galaxy tab the next thing you would like is to make some phone calls, Oops free phone calls from your tablet. Yes you can easily use voip application on your android tablet and convert it to a phone. 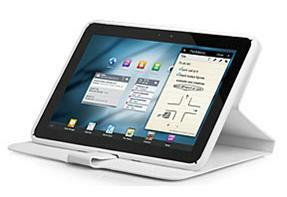 You can use Wifi or 3G for making free phone calls on your tablet. Today we will be talking about Viber for Samsung Galaxy tablet or for Android tablets. If you have an iPad, you can easily install Viber for iPad or viber on iPod touch (this application is for iPhone but it can be installed on your iPad). Viber is a voip application, multi platform mobile voip application which can be used to make free calls to other viber users for free. You can install Viber on your Android tablet and make free calls to friends using viber on iPad. You can make free calls from Samsung galaxy tablet to blackberry or android mobile. That is : free calls from android tablet to android mobile. Viber android apk is available in the Google play which can be download and used on android mobile. The Viber application is not officially launched for android tablets. However the viber app for android mobile can be installed on android tablets as well. You can try installing viber android apk on Samsung Galaxy tab. Please stay connected to this post on updates on Viber for Samsung Galaxy tab (Galaxy Tab 8.9, 10.1, 7 etc)..We will keep updating this post! According to viber team, the app is not fully compatible for all android tablets. You can try searching the Google play (android market) to see if the viber app is compatible in your android tablet device.. If the viber app does not show up in android market, then read on this post to get the viber apk download link. Download link for Viber apk. Just download and transfer this apk to your android tablet. Install this apk to see if this works on your tablet. Call and text anyone, anywhere for free. Send photos, call, text and share locations with each other. FREE! Simple to use : clean interface. Just like other viber posts, we have created this section to share the top users questions.We will select the common problems people are facing and post answers to them. So if you have any problem or questions then please post in comment section. Q1. Does viber work for Samsung Galaxy tab 8.9! Ans : First check the android market if the viber app shows up. If not, then you can try installing Viber android apk (download link above). Viber android app is not fully compatible with this device but still you can try. i've installed on my wifi 5.0 and text messaging is working, i can ring the other party but can not talk or hang on or answer the call. what might be the problem? how to install viber on acer iconia tab A500?